The best performance modification you will ever do to your fork! Complete replacement of the damper with our open bath cartridge! This will make your fork feel like a completely different fork, because it is! No more high speed compression spikes and no more bottoming with the ABS system. Much more effective than the other dampers attempt to add high speed adjustment without the proper shim stack. Open Bath Cartridge system for better lubrication, smoother action and low maintenance. Internal revalvable custom high speed compression and rebound valving. Includes the 20 mm Cartridge Damper Kit Insert, adaptors and fork rebound cap. All cartridges are optimized for current travel. If you plan on changing the travel in the future, please let us know so the proper cartridge tube can be installed. Adjustable travel positions are still functional as only the damper side is modified. the two or we can set it up for the higher travel mode, because this is the more sensitive position generally used for DH. When set to the reduced travel mode we suggest that you stiffen the suspension up with the clickers, same as you did with the stock damper.  Replacement open bath maintenance free speed sensitive damper assembly, "set it and forget it"
Need us to install it for you, just send your fork to us and we will install it for $100 including Spectro 85/150 oil. This is not a rebuild, it assumes your fork is in good working condition with no leaks or scratches on the stanchions. For the firmer feel without harshness, have that big hit set-up that still feels plush on square edged bumps! and the 2014-15 cartridges will not fit in. We hope to have a separate installation manual online soon. It is the simplest of all cartridges to install, remove the charger damper, drop ours in, tighten the bolt at bottom, fill with oil and set the level. ABS option available, see below to add to cart. only available on the 27.5 and 29er forks, due to length constraints and is only recommended for 160 mm travel. Do you need us to install it for you? Ship your fork to us and we can install it for $100, shipping is just the cartridge cost(US orders only), includes Spectro 85/150 oil, see below to add to cart. This is not a rebuild, it assumes your fork is in good working condition with no leaks or scratches on the stanchions. Choose your fork model that the cartridge will be installed in. Choose your fork axle width or + size the cartridge will be installed in. Choose your fork year the cartridge will be installed in. Choose the spring rate/air pressure you will be using which gives you 22% sag. We need this number to help set-up your fork rebound damping correctly. Choose your rider ability for us to set-up the cartridge. only available on the 27.5 and 29er forks, due to length constraints. Price $89.95, during initial build. Price $89.95, plus labor($89) to retro fit, send your cartridge to us for installation. 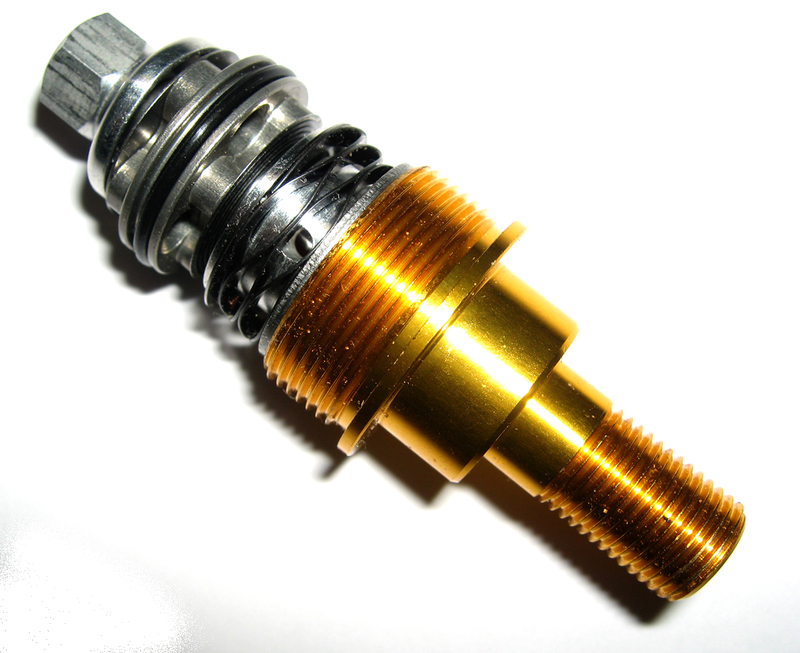 Ship us your fork, we will install your new cartridge, service and rebuild your air spring, replace seals and relube. Add option here, does not include shipping back to you, we will adjust your shipping total depending on where you live in the world and send you a Paypal invoice for the difference. Iit assumes your fork is in good working condition with no physical damage or scratches on the stanchions. Cost to convert is $275. Are your cartridge dampers for the pike and Lyrik interchangeable? I have a pike now, but may upgrade to Lyrik in the future. Also are you offering a upgrade to the existing charger damper as well as a complete open bath replacement? The length and fork cap threads for the stock cartridges are different so we have to make them unique for each fork. We used to offer an upgrade for the charger damper but due to the amount of warranty issues with the internal components it became impossible for us to continue offering this tune. We do not offer this service, sorry too many issues with the stock charger damper that we would have to assume responsibility for when doing the rebuild. In other words the rebuild parts and design of the damper are not good enough for us to service the damper to our standards. I am currently running 3 tokens and the compression 3 from all the way soft, the fork still feels dives and is harsh on square edged bumps, does the open bath cartridge improve this set-up? Yes, you will be able to run firmer low speed compression with less dive and a plush small bump feel. The midvalves will prevent low speed dive and the added compression will make the fork ride higher in the stroke. The high speed hits will not be harsh and the overall increase in compression throughout the stroke will prevent bottoming. This will allow you to remove all the tokens in the 160 mm set-up and have a more linear feel making the midstroke less abrupt for square edged hits. 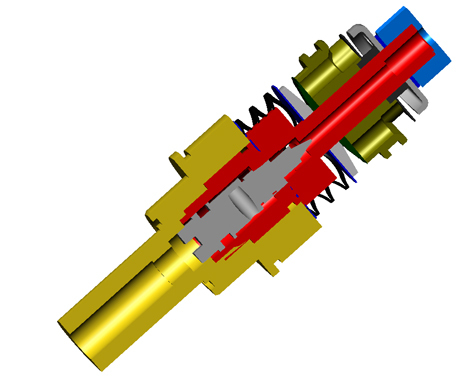 How much different is the performance of your damper with the FvAT/HSV system versus without? The FvAT HSB system allows us to setup the valving firmer and still blow-off on square edged bumps. The damper cartridge can be set up to be firm also but some compromise in the valving must be made and these firmer shims may not open as easily on square edged bumps. If you are looking for a plush overall feel then the HSB is not needed because the shims will be softer and will bend open on square edged bumps anyway.